VietNamNet Bridge - Even startups with good plans and funding can sometimes face problems or fail. Here are a few that encountered difficulties in 2018. 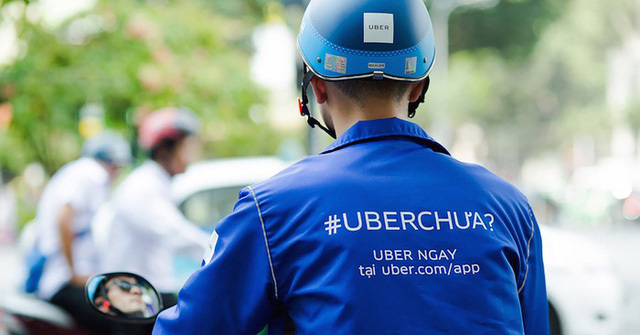 Turning up in June 2014 in HCMC, the e-hailing app brought a new type of transport service and was warmly welcomed in Vietnam. Optimistic about the Vietnamese market, in November 2014, Uber arrived in Hanoi and within two years, it was in Nha Trang and Da Nang. Even startups with good plans and funding can sometimes face problems or fail. However, Uber faced protest from Vietnamese traditional taxi firms. It also had to compete fiercely with Grab, which entered Vietnam in 2014. In March 2018, Uber made an official announcement about its deoarture after selling the Southeast Asian market to Grab. VuiVui.com, an ambitious project of Nguyen Duc Tai, chair of The Gioi Di Dong, now the largest mobile phone distribution chain in Vietnam, officially joined the market in late 2016, when the ‘e-commerce fever’ was peaking, with a wide range of 50,000 products available. Operating under the B2C mode, VuiVui at first only distributed electronics and home appliances. Later, it also sold fashion products, cosmetics and FMCG goods. Tai hoped that VuiVui.com would even surpass The Gioi Di Dong and DIen May Xanh. However, like Beyeu.vn, Deca.vn, Cucre.vn and Lingo.vn, it had to stop operation in late 2018. The food ordering and delivery platform began operation in late 2018 with investment from Scommerce Group. It had a great advantage over rivals in that it could use resources from the partners of the same Scommerce ecosystem, which included 10,000 shippers from AhaMove and 7,000 restaurants from iPOS. However, only one year after appearing, Lala shut down quietly. In its golden age, GNN Express, a forwarding company, had five branches in Hanoi, HCMC, Hai Phong, Da Nang and Can Tho. The company with the initial charter capital of VND100 million successfully conquered customers’ hearts thanks to reasonable prices and good customer care services. But it suspended operations in September 2018 because of financial problems. Tamtay was known in Vietnam as the first Vietnamese social network. After making its debut, Tamtay quickly created a strong community on the internet. It left good impression on young users with beautiful video clips and images, meaningful blogs, and beauty contests. In early April, tamtay.vn announced closure. One month earlier, users were told to download personal information and necessary content from tamtay.vn. After April 1, the data was erased from the server.